This is a one day course for those with previous experience in drag racing now looking to get certified. The opportunity to qualify for your NHRA license will be available if all runs are done successfully. Additional runs, if needed to complete a license, may be available based on time. 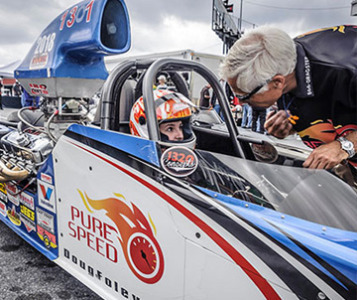 If you successfully complete the course, you will leave with all necessary paperwork to submit to NHRA to receive your license. (NHRA fees may apply). We will video the runs for instructional purposes if necessary. In-car video available for $100.